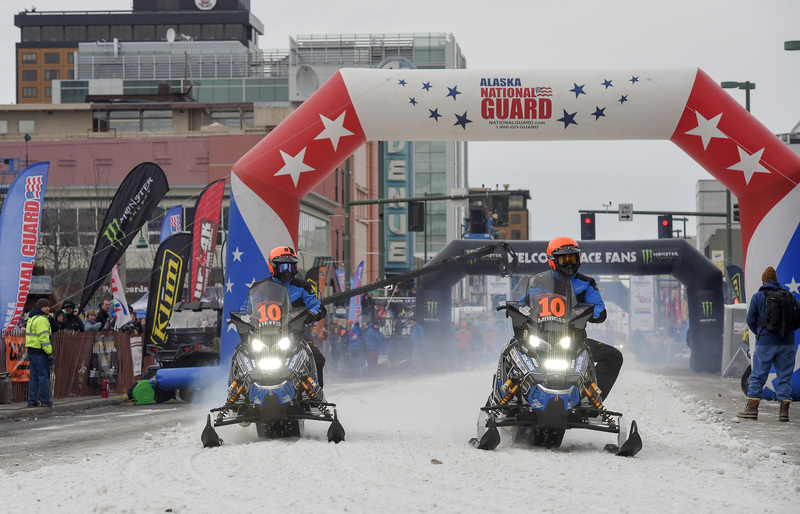 Snowmobile racers leave the starting line during the opening ceremony for the 2016 Iron Dog race in Anchorage, Alaska, Feb. 20. This year 41 two-man teams are competing in the over 2,000 mile long race that stretches from Big Lake to Nome, and finishes in Fairbanks. The racers must traverse some of Alaskaâs most remote and rugged terrain while confronting harsh winter conditions. Photo by Arctic Warrior.